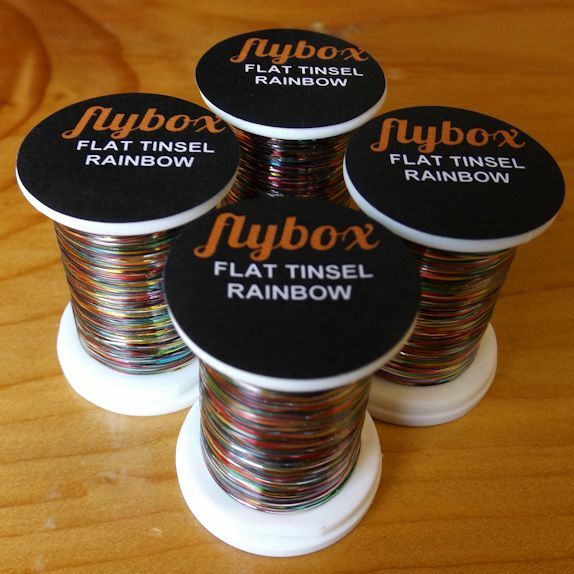 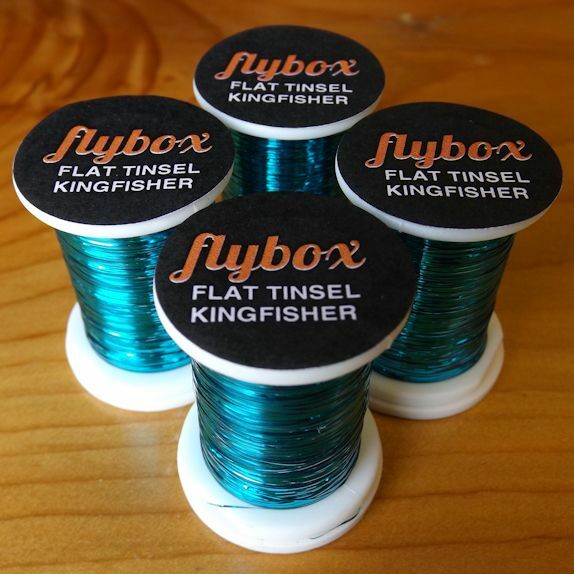 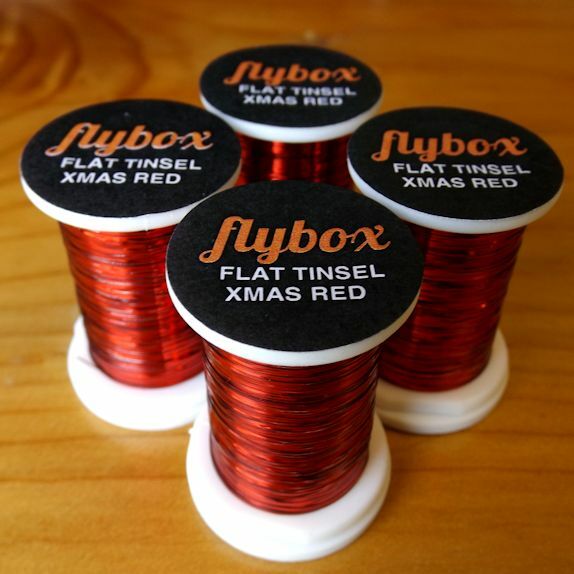 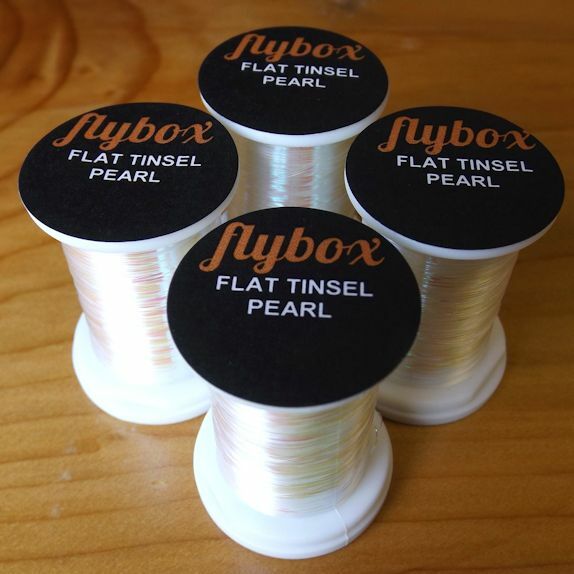 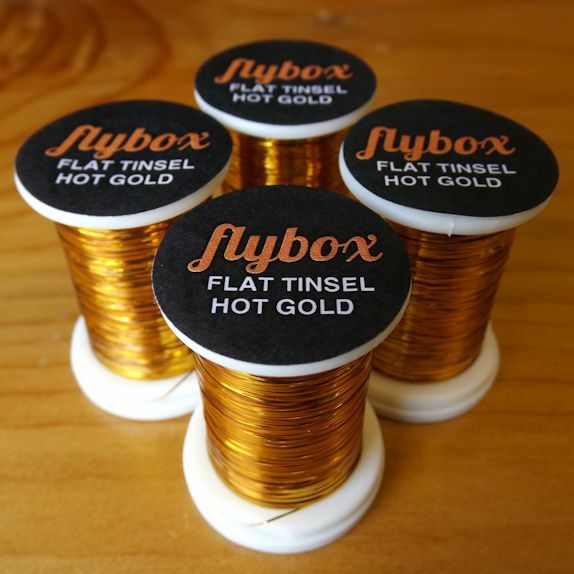 Flat Tinsel from Flybox. 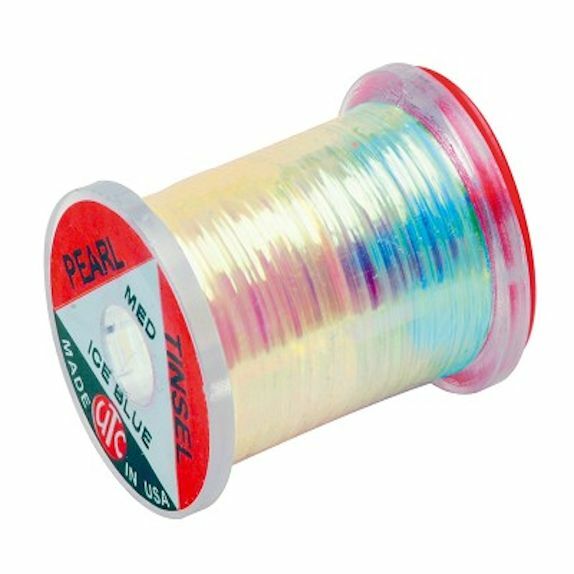 Available in Pearl and Rainbow. 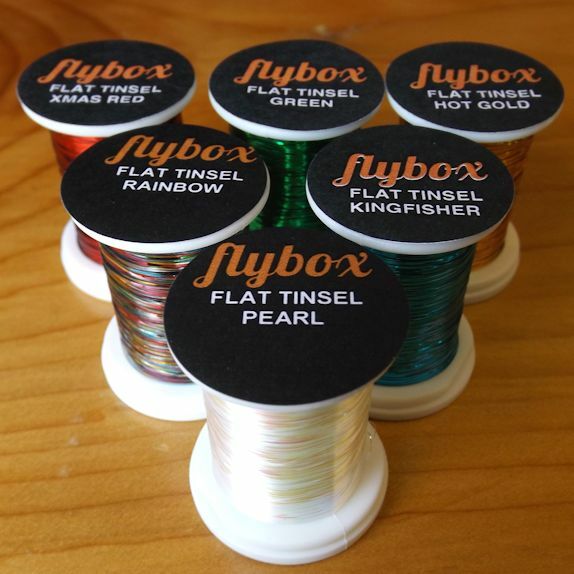 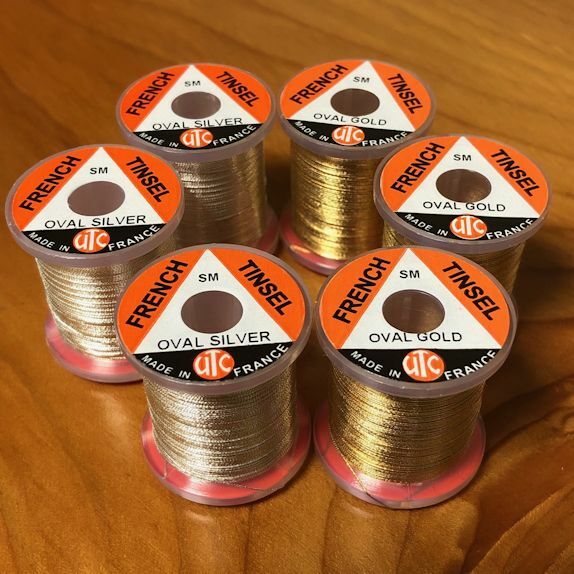 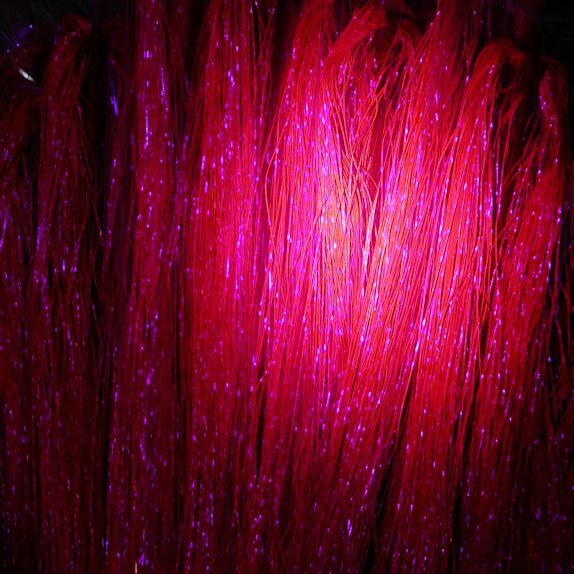 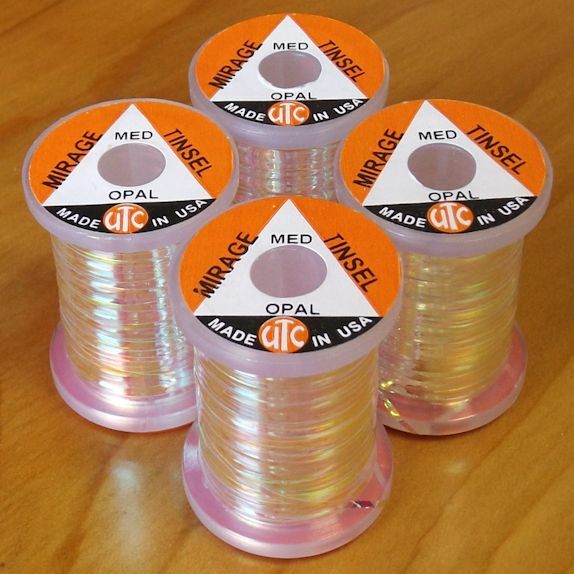 Flat Tinsel is an extra fine diameter, non-holographic tinsel. 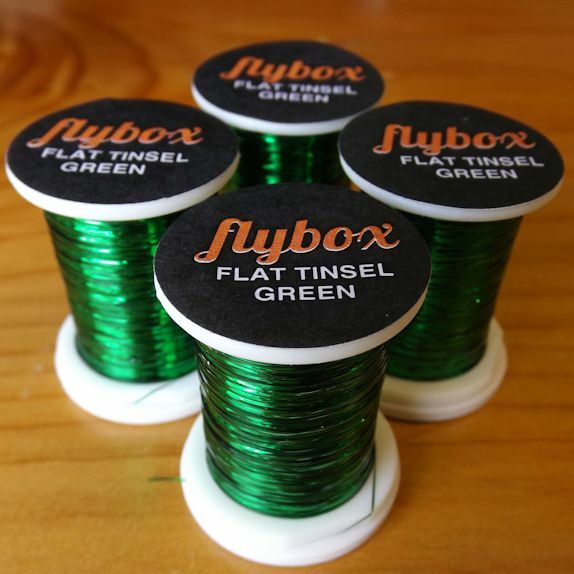 It’s slightly thinner than standard “small” tinsels and is a great size for ribs on trout flies such as Buzzers & Nymphs.